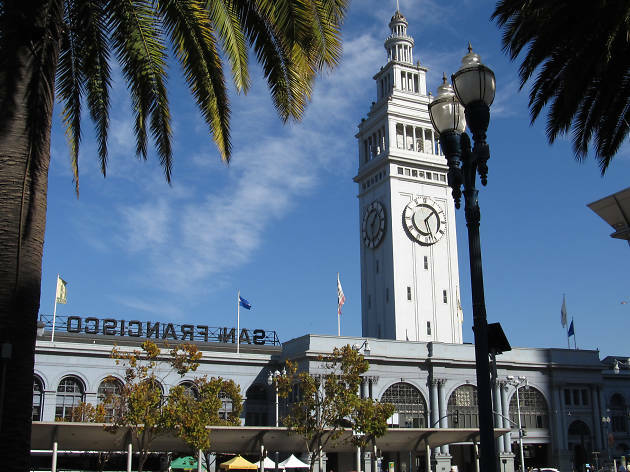 A food mecca that rivals Seattle’s Pike’s Place Market, the Ferry Building hosts both the city’s largest tri-weekly farmer’s market and provides a permanent home for some of the region’s most beloved artisan producers. Indoors, you’ll find merchants including Cowgirl Creamery, Dandelion Chocolate and Fort Point Beer Company. Behind the Ferry Building on Tuesdays and Thursdays from 10am-2pm and Saturdays from 8am-2pm, regional farmers and ranchers sell vegetables, flowers, meats and other edible and small-batch products. When your shopping is done, grab a bite at one of the itinerant food stalls on market days or brick-and-mortar restaurants like Charles Phan’s beloved Vietnamese juggernaut the Slanted Door or the popular Hog Island Oyster Company. San Francisco City Guides offer regular free tours of the plaza. 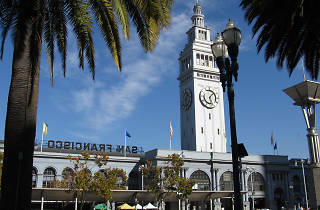 It might just look like an old ferry building from the outside, but inside it's a bustling market. Ice cream, cookware, baked good, oysters. It's a foodie's paradise! Once you've gotten your goods, take a walk outside an enjoy the beautiful view!